The Debate Over Mortgage Principal Reduction | The Law Office of Emil Fleysher, P.A. The Debate Over Mortgage Principal Reduction | The Law Office of Emil Fleysher, P.A. 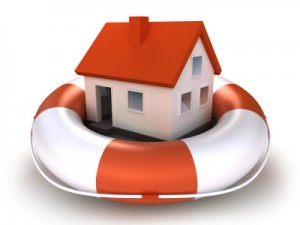 Should Principal Reduction be Offered to Underwater Homeowners? Reducing mortgage balances is an idea that could be helpful to or cause more default among borrowers. Some experts feel that widespread principal reductions may drive defaults much higher. Also, taking this step may tighten lending by forcing banks to offer “price protection” to borrowers. The data shows there is essentially no difference in re-default rates among delinquent borrowers given only payment reductions and those also offered smaller mortgages. About 40 percent of borrowers whose payments were cut between 20 percent and 40 percent defaulted again after 12 months, regardless of whether they were more than 60 percent underwater or had home equity between zero and 20 percent. On the other hand, there is the argument that policy makers should consider allowing non-delinquent borrowers to earn debt forgiveness with on-time payments. It is likely that without a significant turnaround in home prices and employment, a substantial proportion of those loans that are deeply underwater will ultimately default absent an earned principal reduction program. Among subprime borrowers who received payment reductions of more than 40 percent in 2010, 19% defaulted after 12 months if their reworked loans included a lower balance, while 27% fell behind again if they only received a lower rate. Borrowers are almost twice as likely to default again after a loan is modified without reducign the principal balance.